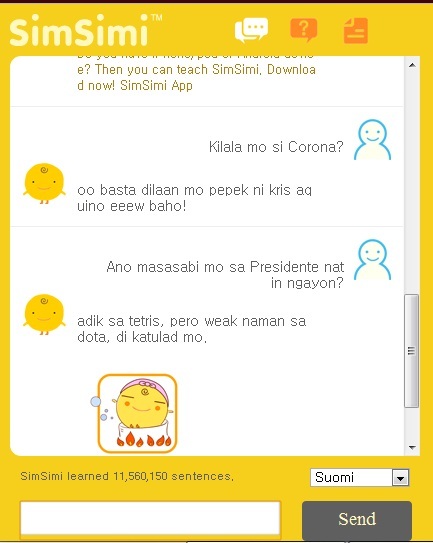 Simsimi is the hottest chick on Philippine web today. Every morning, whenever I open my Facebook account, screen shots of Simsimi conversations are plastered on my landing page and I'm like, "WTF?". Out of curiosity, a pinch of annoyance, and a teaspoon of boredom, I googled this Simsimi to know why the hell most of my friends, imaginary friends, and supernatural friends are totally hooked up with this yellow ball with a cute and a bit annoying face. Simsimi is an iOS and Android application created by ISMaker, a Korean Tech company, last 2002. It uses artificial intelligence to converse with human users. The Simsimi app draws on a base of about 10 million question-and-answer conversations to come up with what many users describe as the best conversation app they have ever used. When a user sends a text to the Simsimi app on their iPhone or Android device, or communicates with it on their computer, the app responds by automatically scanning for related conversations in its massive database, then spitting out a relevant, and often hilarious, response. So that's what I've found after Google-ing it. This app isn't new after all. Simsimi is already ten years old, older than the newly introduced Tita Siri of iPhone 4S. 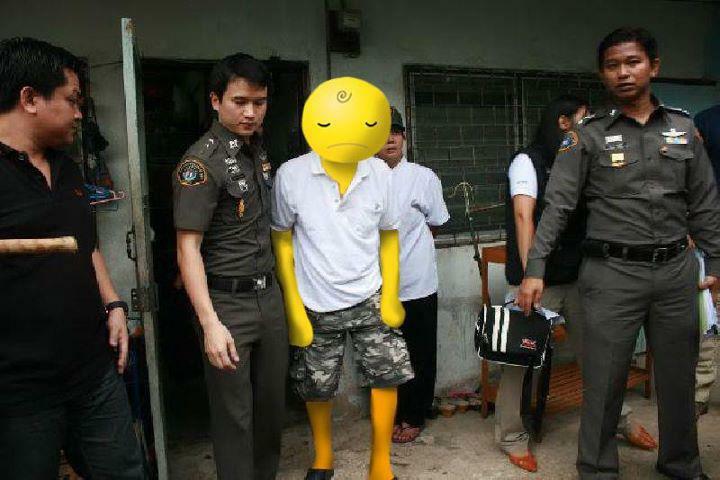 Protests have been made against this app in Thailand, as what I've read, and I guess they have a strong point. 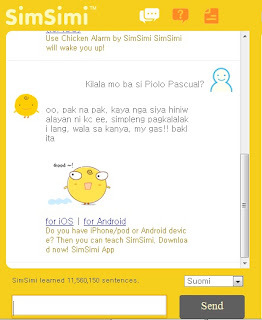 Because Simsimi can be taught by users, it can also be a threat to some people, and especially to children. The creator of this app said that they have developed the program to screen foul and abusive words. The question is, did they also screened "Pinoy foul words"? I have seen screen shots where Simsimi orally defamed some names, not just nicknames, but full names, calling someone as bakla (gay). It even named private body parts in Tagalog. Well enough of those controversial people. Some of its answers weren't relevant too, so I got bored after some 30-ish minutes of playing with this yellow ball that reminded me of balut. Here were some of our conversations. 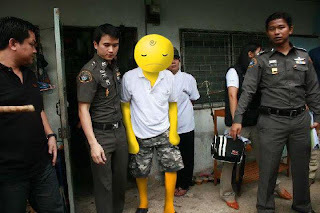 Hey, before this ends, let me show you one last picture that shows there are some people out there who wish to see Simsimi go in jail, haha. 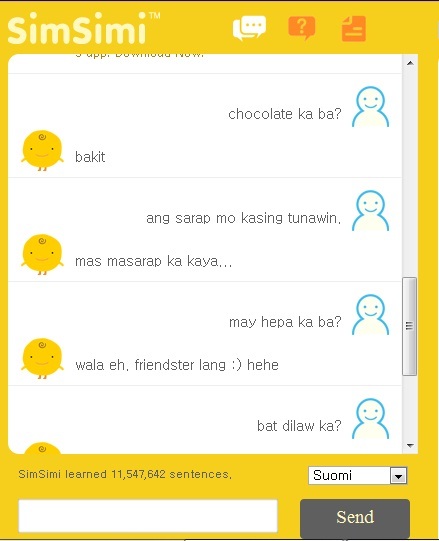 Posted in android, app, iOS, iPhone4s, simsimi . Bookmark the permalink. RSS feed for this post.